During the Cold War, NATO and Warsaw Pact nations erected numerous hardened aircraft shelters (HASs) to protect their multi-million dollar combat aircraft during wartime. Over time, this practice spread throughout the world's conflict zones, with similar structures being found in many Middle Eastern and Asian nations. Some nations, however, took this practice one step further: they began building full underground facilities (UGFs) to store aircraft. UGFs are commonly used in many nations to store and protect military hardware, but only a few nations have used them to protect their combat aircraft. These nations include the DPRK, China, and Taiwan in Asia, and Albania, the FRY, Sweden, and Switzerland in Europe. In this feature, the facilities used by the DPRK will be examined. 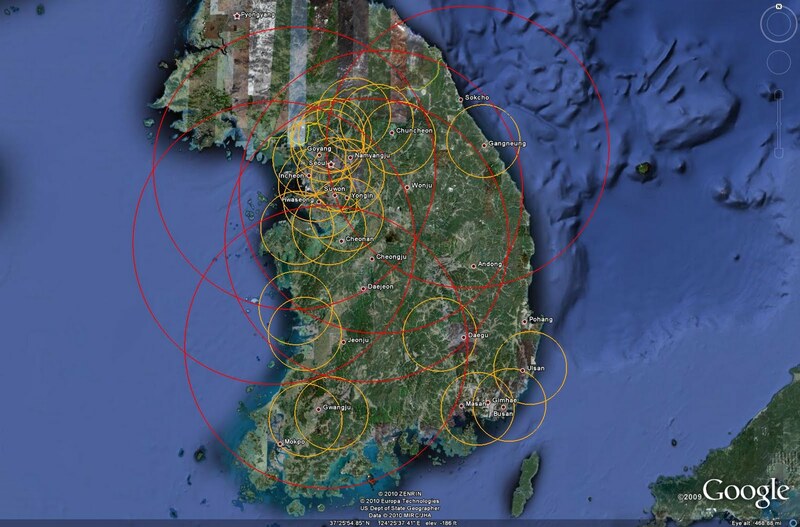 Twenty major airfields in the DPRK feature significant UGFs for storing combat aircraft. In addition, two locations feature unique runway layouts incorporating UGFs, and seven airfields feature no UGF storage facilities. The locations of these facilities can be seen in the image below. The airbases incorporating UGFs are marked in red, those lacking UGFs are marked in blue/white, and those incorporating hardened airfields are marked in yellow. There are two basic UGF layouts employed by the DPRK to protect and house combat aircraft. These facilities are either positioned close to the main runway, facilitating ease of movement between the UGF and the operations area, or further afield, suggesting their use primarily for long-term storage. In addition, they are connected to their assigned facilities using two different taxiway styles. Some UGFs are connected by simple taxiways which wind their way through bulidings and terrain to reach the runways, while others appear to have a more interesting purpose, that of a backup launching strip for concealed assets. This information, combined with an analysis of the types stationed at each location, can give an indication as to the employment strategy or readiness level of aircraft contained within. 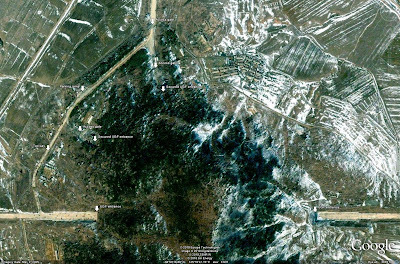 Three airbases will be examined in detail to provide an overview of the DPRK's UGF design, layout, and potential use. Sunchon AB is arguably the DPRK AF's most important installation. 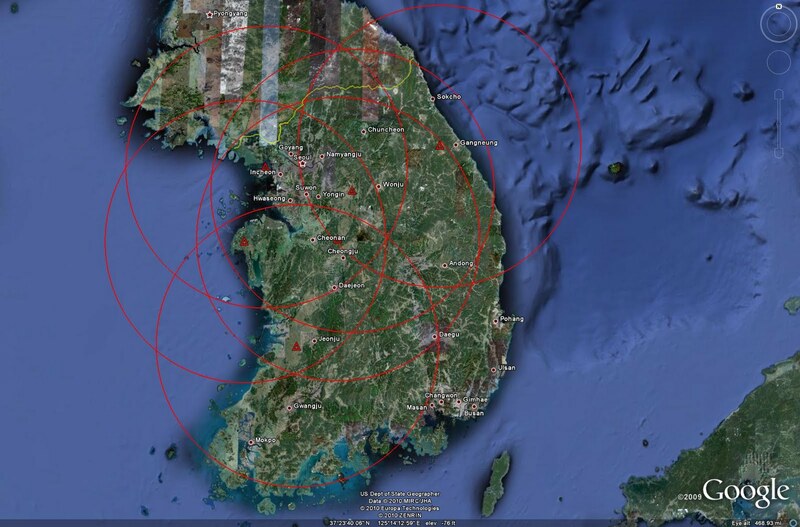 Situated approximately 40 kilometers northeast of Pyongyang, it is home to the most advanced combat aircraft in the DPRK. 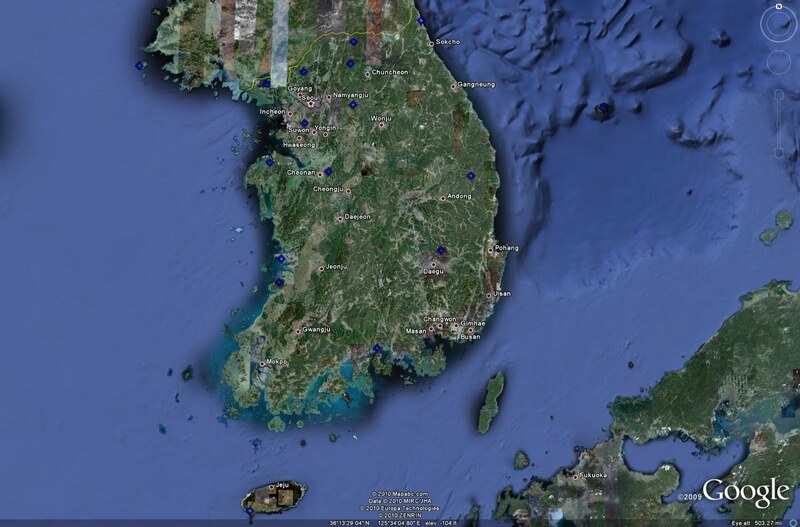 Sunchon AB is home to the DPRK's MiG-29 (FULCRUM) and Su-25 (FROGFOOT) fleets. The MiG-29 represents the DPRK's only true modern, 4th generation fighter aircraft. The Su-25 is likewise the only true survivable, modern ground attack aircraft in the DPRK. Sunchon's MiG-29 unit also makes up roughly half of the BVR-capable combat aircraft in the DPRK, with Pukchang's MiG-23 (FLOGGER) unit being the only other BVR shooters in the AF's inventory. 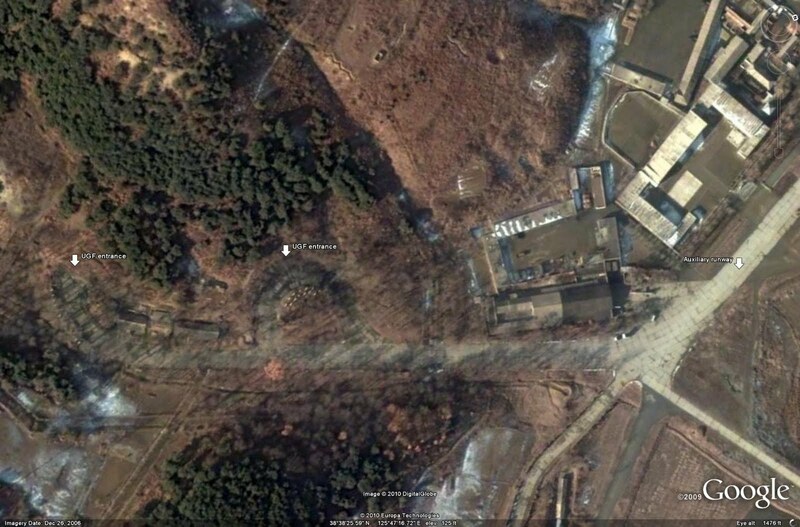 Despite widely published claims to the contrary (including a thoroughly ludicrous Wikipedia article), whereby the MiG-29 fleet is believed to be based at a host of other locations, Sunchon is the only facility where the MiG-29 has been imaged inside of the DPRK. Sunchon's UGF is situated in close proximity to the airfield itself. There are three main entrances, with two entrances likely leading to the storage area for operational aircraft. The third entrance may be for long-term storage of derelict or obsolete aircraft, or for entrance into a dedicated maintenance or GSE storage area. Sunchon's UGF is connected by a series of taxiways to the main apron area. Sunchon AB has ramp space for roughly 34 combat aircraft, with HASs for four more aircraft. There is also an alert or arming/dearming pad at the north end of the runway which can easily park two aircraft. Open ramp space is therefore provided for at least 38 aircraft. 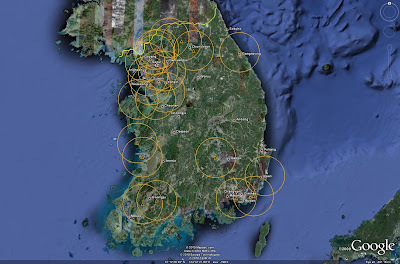 66 modern aircraft, discounting possible attrition since delivery, are based at Sunchon AB, indicating that at least half of them are stored in the UGF at any point in time. 36 Su-25s and 24 MiG-29s were delivered from the USSR, including 4 UB/UBK training versions of each type, as well as 6 MiG-29S (FULCRUM-C) SKD kits assembled in the DPRK. It was the MiG-29S that was used to intercept a USAF RC-135 in 2003. 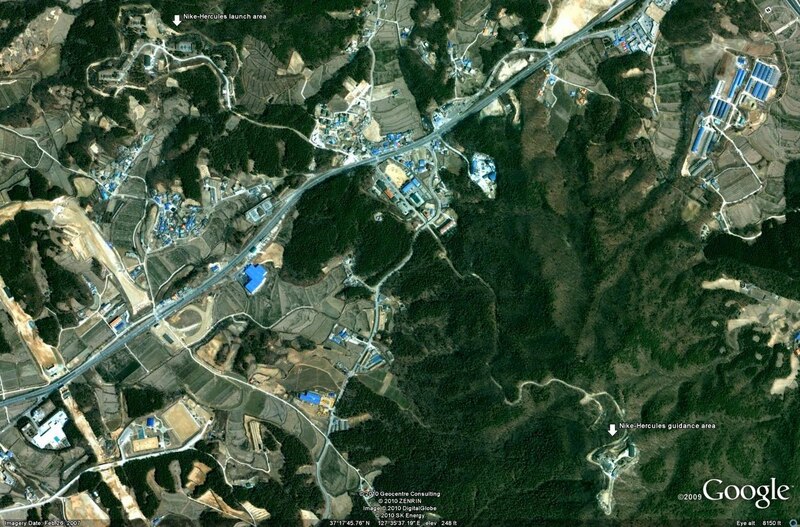 Furthermore, analyzing the layout of Sunchon AB in relation to the UGF illustrates an interesting feature. A 1350 meter taxiway extends from the UGF to a point beyond the main parking aprons. This taxiway may in fact be an auxiliary runway, allowing aircraft to be prepared for flight while concealed within the UGF and then launched with little or no warning for a strike against the ROK. While the MiG-29 would likely be employed to defend the skies above Pyongyang, the Su-25 is certainly a credible platform for use in this capacity given its relative survivability (compared to other available air to ground platforms in the inventory) and its high payload. Alternatively, this may facilitate the storage of armed, combat-ready MiG-29s in an alert status, protecting them from the elements while other airframes are removed for training flights as needed. 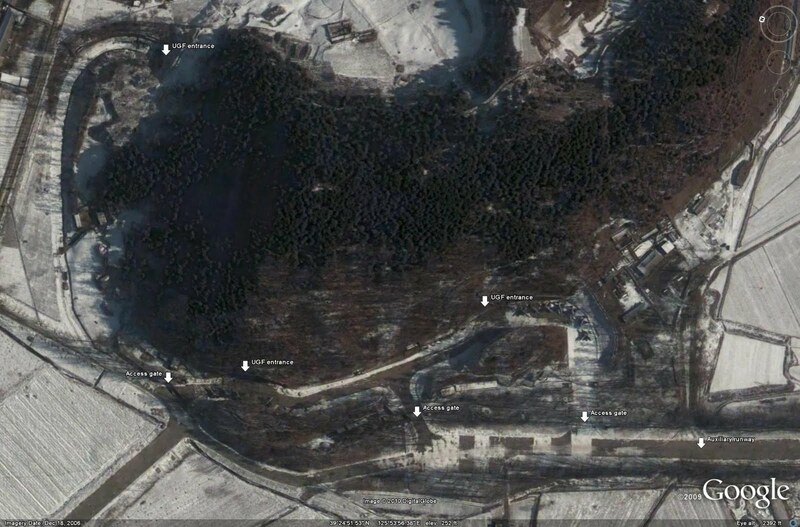 Sunan AB, situated just north of Pyongyang, is the primary home to the DPRK AF's air transport assets. Assigned aircraft include the DPRK's Il-76 (CANDID) fleet. It also serves as the major international air terminal for the DPRK. 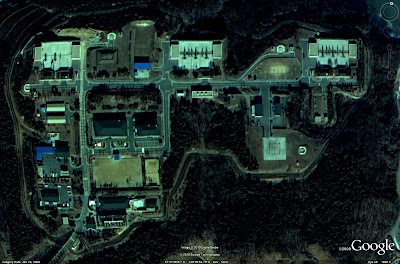 There are no identified combat aircraft at Sunan AB, but the UGF can be used to illustrate a different layout than that of Sunchon AB. 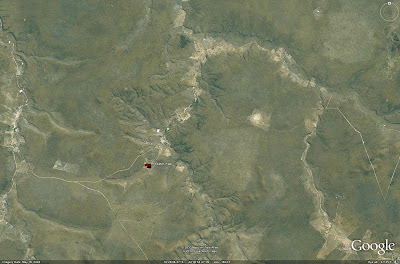 In the case of Sunan AB, the UGF is situated a much greater distance from the main operating area, likely indicating that aircraft stored therein are not operational or are being held in storage. Also, the UGF is not connected by a taxiway suitable for use as an auxiliary runway, reducing the chance that assets contained in the UGF are suitable for rapid deployment. 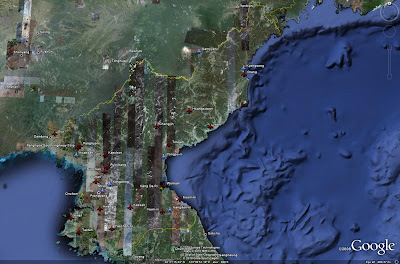 Hwangju AB, approximately 40 kilometers south of Pyongyang, is home to a DPRK AF MiG-21 (FISHBED) unit. 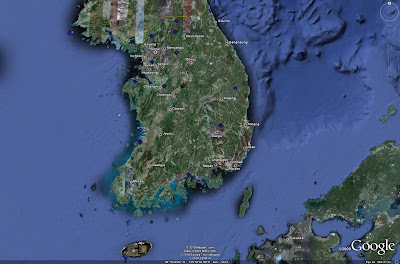 Hwangju's overall layout is similar in many respects to that of Sunchon AB. 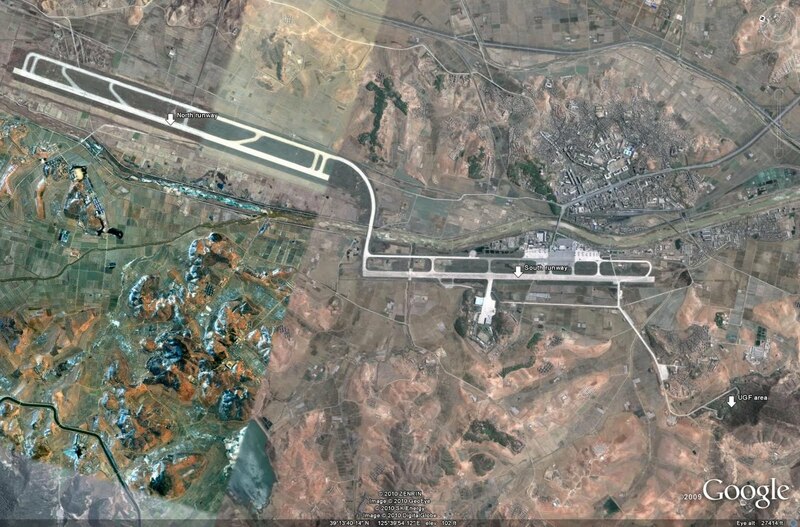 Hwangju features three ramp areas and four HASs for housing its assigned aircraft. It also features a UGF complex for storing MiG-21s, which is connected to the main facility by an auxiliary runway similar to that found at Sunchon AB. The primary difference in the two facilities is the distance. Sunchon AB features a UGF in relatively close proximity to the main airfield, suggesting that combat aircraft may be stored there on a regular basis. 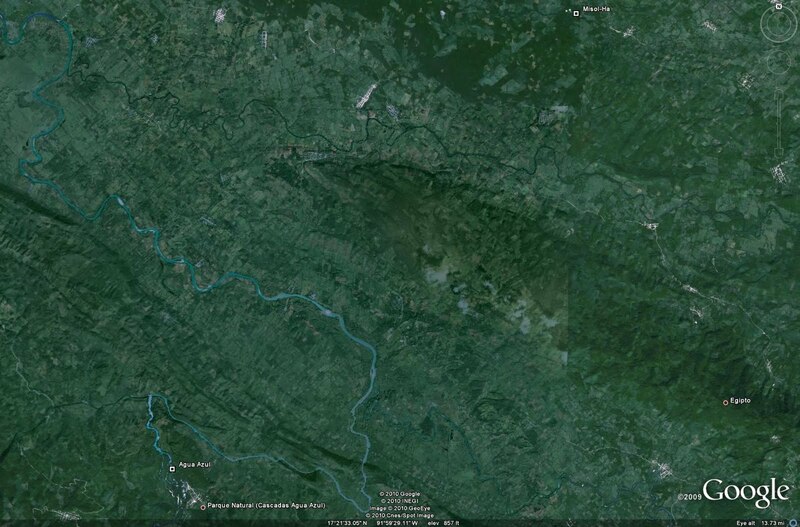 Analysis of the available imagery would seem to validate this theory. In contrast, the UGF complex at Hwangju AB is much further removed from the main airbase. Imagery indicates that a consistent number of MiG-21s, around 20, is parked on the main ramp space of the airfield. This suggests that the UGF is not used for primary storage of aircraft, as it appears to be for Sunchon AB's MiG-29 fleet. 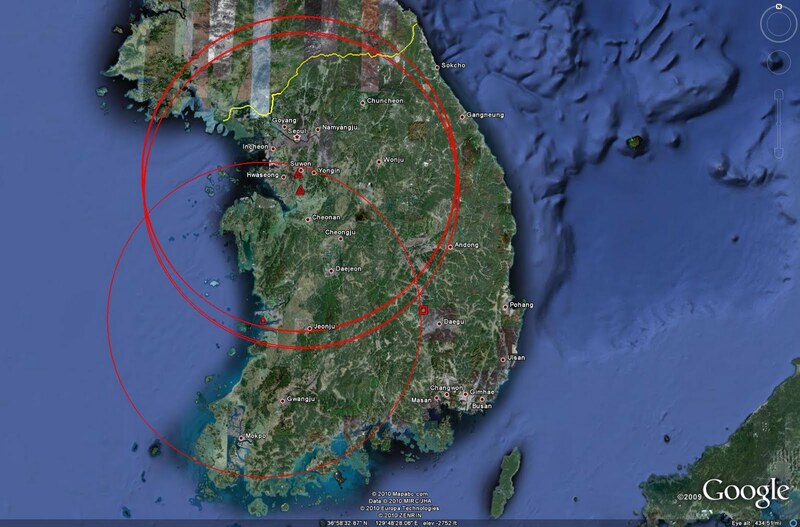 This illustrates the relationship between UGF location and storage activity in the DPRK AF. As operational fighter bases, both Sunchon AB and Hwangju AB possess four HASs in close proximity to the main runway. 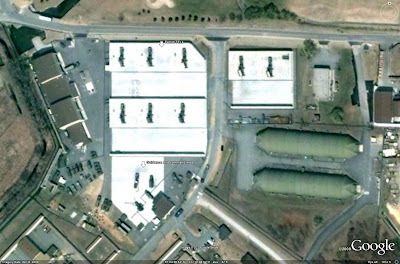 These facilities are likely employed for alert aircraft, enabling them to be protected to a degree from a preemptive strike. While aircraft parked on open ramp areas are soft targets, those contained in HASs would potentially be available for airbase defense or counterstrike sorties in cooperation with aircraft retained within the UGFs. 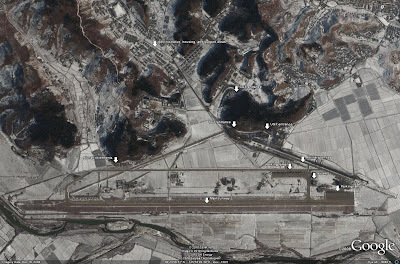 Onchon airbase in the west and Kang Da Ri airfield in the east feature unique hardened facilities. These airbases incorporate large UGFs for storage, maintenance, and operations work, with runway surfaces exiting the UGFs in multiple directions. 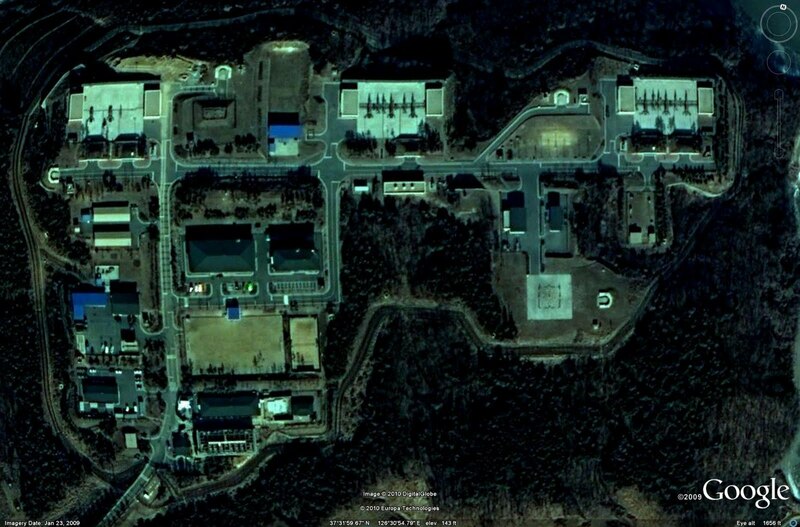 No information is available as to the purpose for, use of, or units assigned to these facilities. The most probable use for these unique airbases is as dispersal sites for combat aircraft. They represent very survivable hardened structures, and could potentially house a significant number of aircraft. The only drawback is that deploying a significant number of aircraft to each facility would be a potential identifiable indicator of forthcoming hostile action. 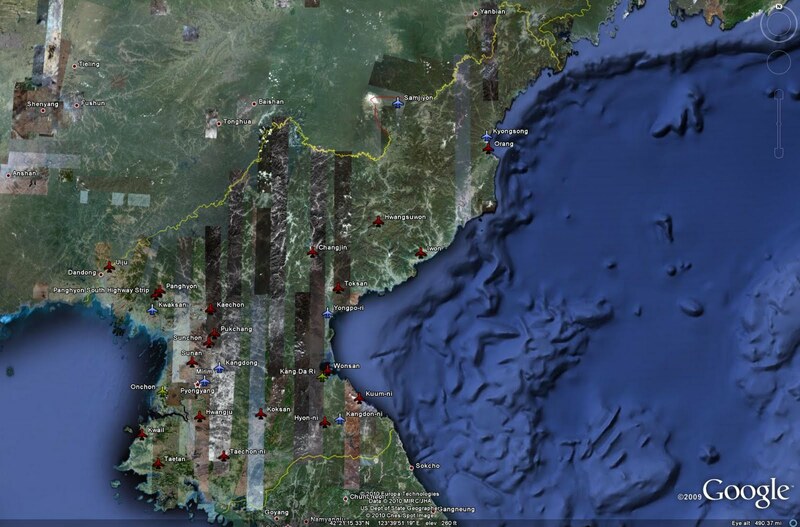 To mask such activity, the DPRK would likely establish routine training deployments to each location. An alternative use for the hardened airbases has nothing to do with aircraft and at this time represents pure speculation. 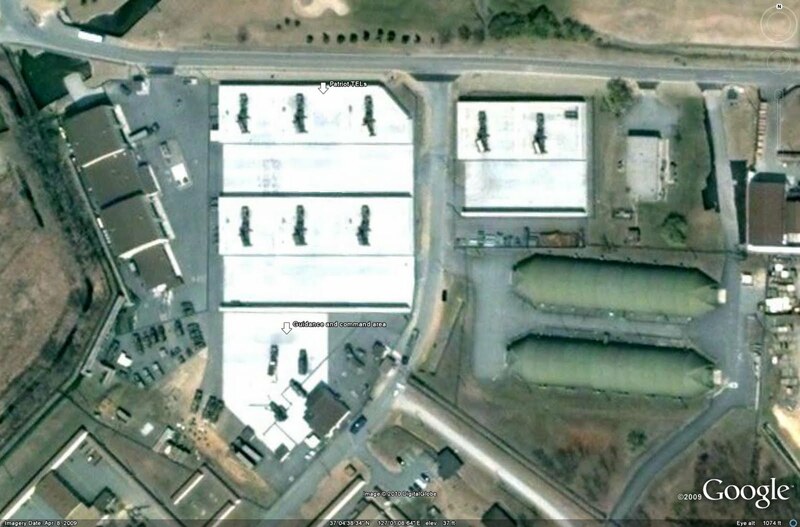 Given that air activity at either location has never been publicly disclosed or identified in imagery, an interesting concept would be to employ the facilities as hardened SSM bases. The facilities resemble airfields in their layout, but a concrete SSM launch pad is little different from a runway surface. Ergo, the DPRK could stockpile SSMs in these facilities, using the "runways" as mass launching areas. In this scenario, transporting SSMs to the facilities would be far easier to mask than the deployment of combat aircraft. The facilities could represent logical storage and mating points for nuclear or chemical warheads, allowing them to remain protected prior to use. Furthermore, what better way to hide an SSM base than by designing it as an airfield? The only serious additional expense would be the additional concrete used to create a "runway" rather than a number of SSM launch pads. In this vein, given the security and survivability of these facilities, they could also represent launch points for UAVs or drone conversions of obsolete aircraft armed with nuclear warheads. 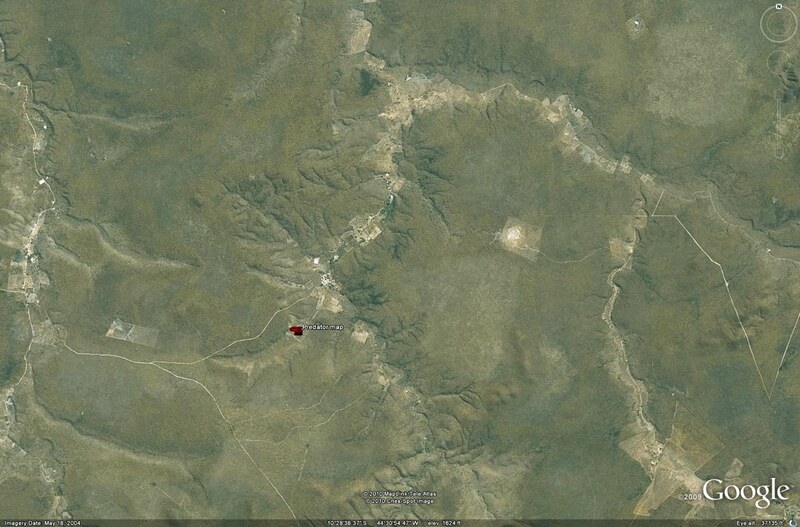 At this point in time, however, the facilities are assumed to be exactly what they appear to be: hardened airfields. 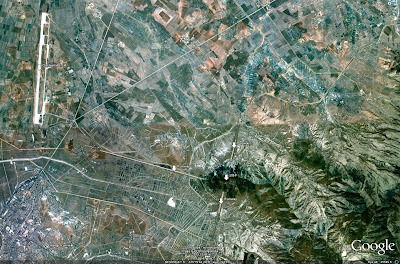 Onchon AB is unique in the DPRK as it possesses both a traditionally designed airfield and a separate hardened airbase facility. The airfield itself is home to a number of old, outdated combat aircraft including the MiG-19/J-6 (FARMER). 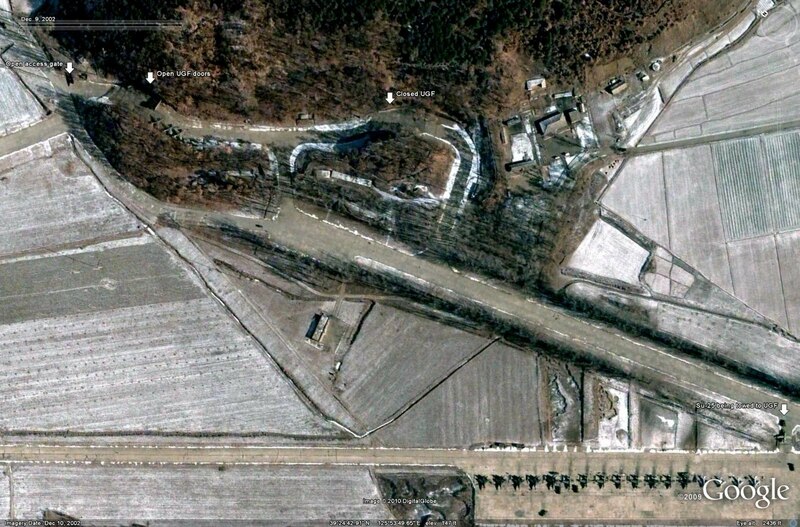 The hardened airbase at Onchon consists of a single massive UGF with multiple entrances, and three runway surfaces. The facility was noted as being complete in January of 2004. The two primary runway surfaces lead directly into the massive UGF. A third surface useable as an auxiliary runway is connected to the main facility through a taxiway leading to one of the primary runways and to two secondary, secured UGF entrances. These secured entrances may lack the clearance for combat aircraft to use them to gain access to the UGF, but may provide entrance and exit points for GSE or other necessary equipment. A small exterior parking ramp is also provided, possibly for alert aircraft. 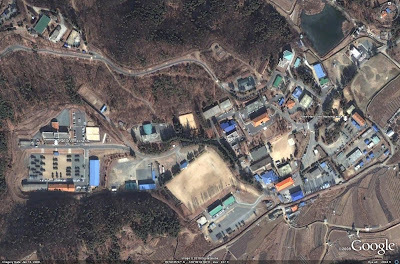 As of 2007, Kang Da Ri AB was still under construction. It is a hardened airbase similar in concept to that found at Onchon. 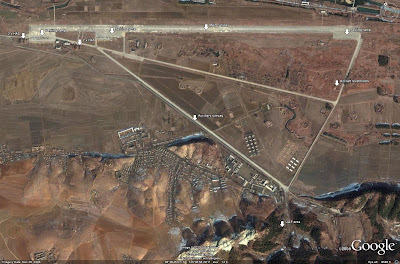 Kang Da Ri AB consists of a large UGF with two separate entrances leading directly to runway surfaces. 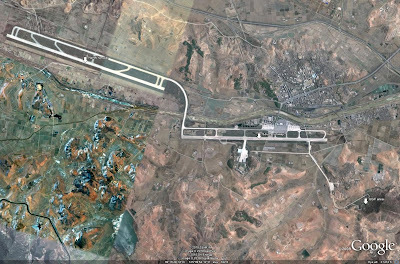 There is a separate external runway surface, but unlike Onchon it does not lead directly to a UGF portal. Instead, it leads to one of the main runway surfaces via a taxiway still under construction in the latest imagery. Employing UGFs to store aircraft does not necessarily mean they will remain viable combat assets. There are numerous options available for negating the impact of these facilities. While penetrating weapons may not be able to access the UGFs themselves from above, PGMs could be used in an attempt to destroy the access doors to the facilities, collapsing the entrances and sealing the aircraft inside for a period of time. Taxiways and auxiliary runways could also be cratered and seeded with bomblets from cluster munitions. 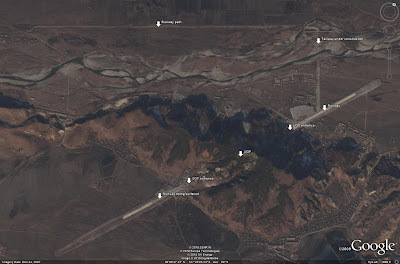 The value of the UGFs therefore depends on the ability of DPRK personnel to clear and repair runway and taxiway surfaces and gain access to the facilities to allow the assets held within to be deployed. 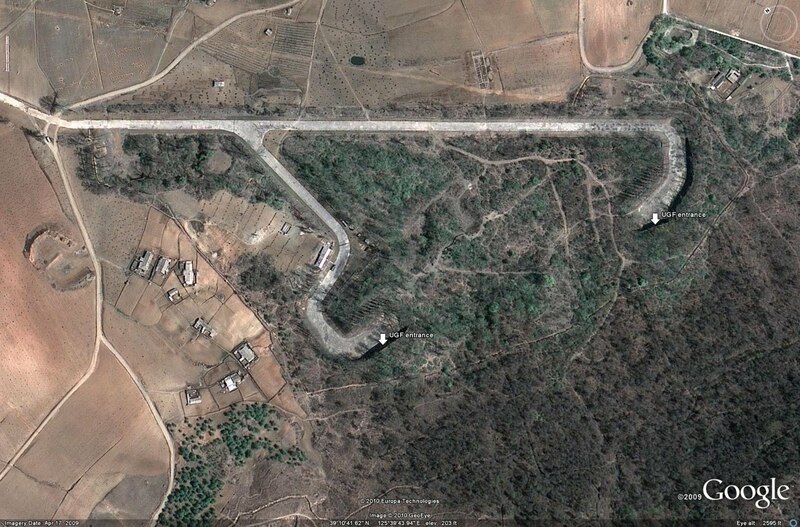 The DPRK employs a number of UGFs throughout the nation to house various types of military equipment. The DPRK's Air Force is no exception, and the employment of UGFs will ensure that a portion of the air element remains viable after a first series of strikes by the ROK or USA. This month I'll post an updated Russian SAM Network overview. I was going to do China, but as China is about two and a half years old, it's taking a lot longer to basically completely rewrite the entire thing. Russia is almost two years old, but the layout of the original article made it way easier to update. China will therefore be moved to August, and will be a ridiculous improvement over what is available now. Now stop reading this and go see Predators. 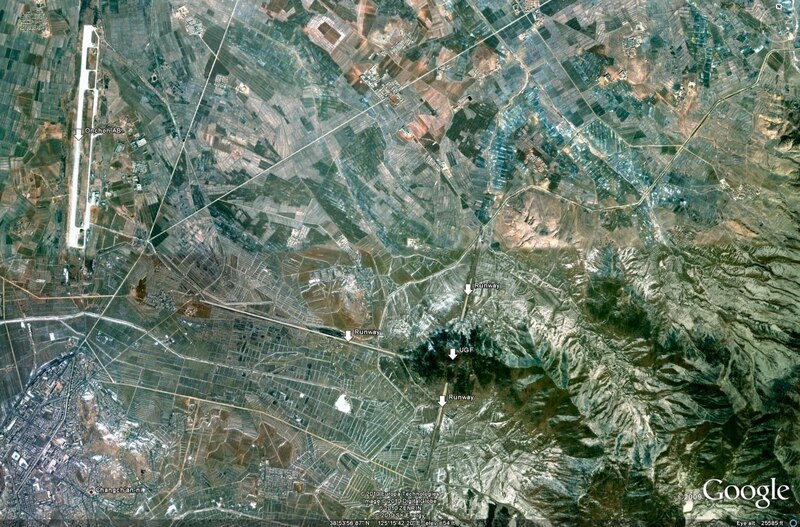 Overhead imagery can be useful for all sorts of analysis work, but it can also be used for purely amusing pursuits. Earlier today I went and saw Predators, the new movie featuring everyone's favorite chameleonic aliens. The movie, which was awesome, got me thinking: I know Predator (the 1987 original) was shot in Mexico, I wonder if I can find the sets in Google Earth? 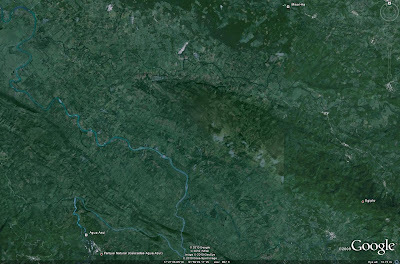 This amusing exercise just goes to show how much fun you can have when you stop being serious with Google Earth. SAM sites? Bah. Finding the set locations of the greatest movie of all time is way more entertaining! 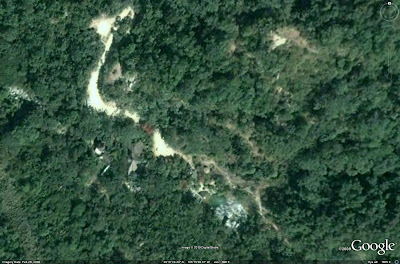 Check out the location of the Predator set near Puerto Vallarta in Google Earth and bring up the Panoramio Photos of the area to see some of the fun leftovers from the film. There are a ton of good Panoramio Photos showing the waterfalls as well.